Seals need to spend time on land to rest, digest their food and replenish their oxygen supplies. We need to make sure when we watch them that we do not change their behaviour! When it hits the water suddenly, it will get cold shock just like you and I. 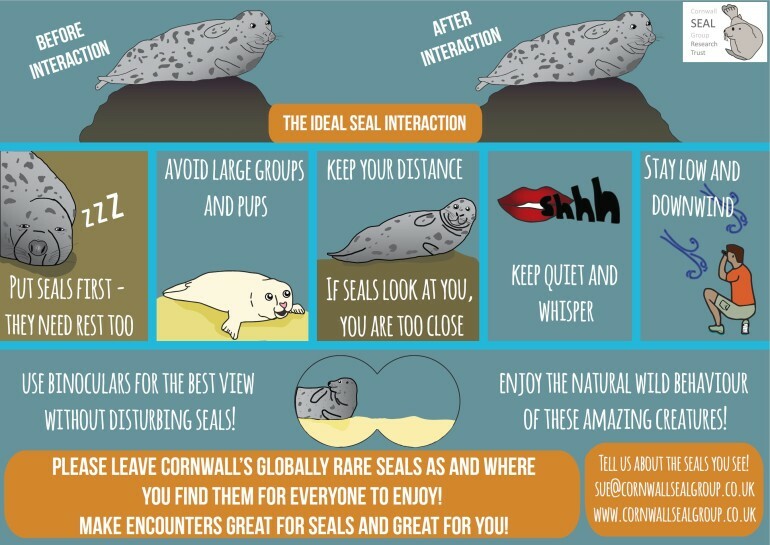 Do you watch seals from the sea? If so, here’s how to enjoy this amazing wildlife spectacle in their environment. Disturbance is a change in behaviour in response to a human activity. Did you know it can be a criminal offence to disturb seals depending on where they are? It is always good to err on the side of caution. The worst disturbance event CSGRT ever recorded was 10 stampedes into the sea within 70 minutes. This came from a number of land, air and sea based sources. 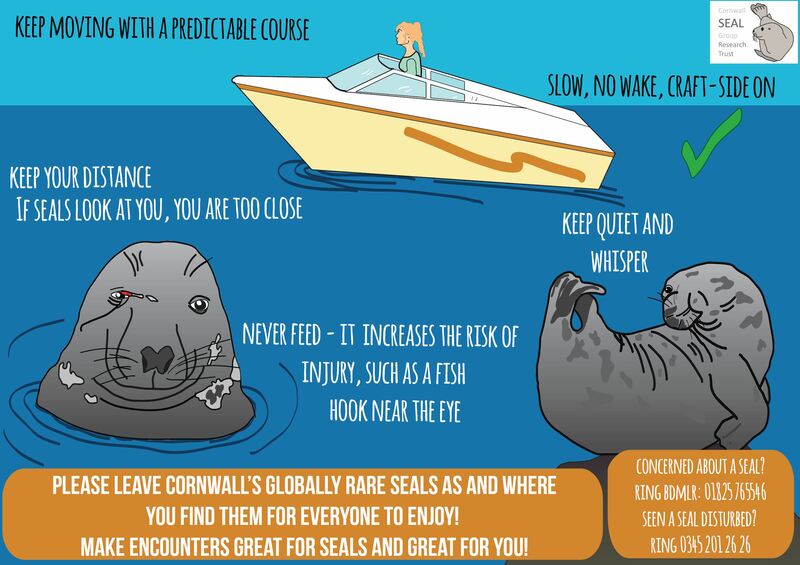 If a seal is looking at you, you are probably already too close! Massive thanks to Haley for her wonderful design work, without which this invaluable resource would not exist.